There are several instances in which you could encounter biohazard materials and it is best to avoid contact with them and call a professional that can safely handle the cleanup. 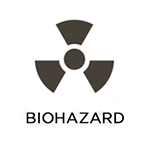 Biohazard materials include blood, tissues, sewage, mold, chemicals, and bacteria and they often contain harmful substances including viruses and other toxins that can cause infection or disease. RestorationMaster provides biohazard cleaning services in Eastlake and Willoughby, OH to remove all types of biohazard materials as well as clean and restore the scene. We use advanced equipment and cleaning products that allow us to safely clean and disinfect the area after removing the biohazard materials. Blood should always be treated with caution regardless of whether it is from a minor injury or a more serious injury or death. It is possible for blood to contain viruses and other toxins that can spread infection or disease if it is not handled properly which makes it important to call a certified professional to clean it up. RestorationMaster provides blood cleaning services to effectively remove blood and stains in Eastlake and Willoughby, OH. We use the most effective cleaning products and equipment of the industry and we will also sanitize the scene to make it safe to enter. Disasters such as fires, floods, and mold can occur in office buildings and other commercial settings and when they do, it is important to begin the restoration process quickly to avoid further damage and long interruptions to your business. RestorationMaster provides commercial restoration services in Eastlake and Willoughby, OH to help restore and repair local businesses that have sustained damage in a disaster. Our technicians have the training and experience to repair and restore all types of commercial buildings and we can help ensure that the environment in your building is safe by testing the air quality levels. We react quickly to your call and provide fast written estimates for businesses near Eastlake and Willoughby, OH to help get your business back on track as soon as possible. 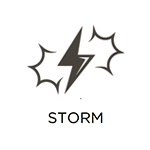 Severe storms are a regular occurrence in the Northeast Ohio area as rain, thunderstorms, strong winds, tornadoes, ice storms, and blizzards are all known to cause property damage. Heavy rain and flooding can lead to water damage in homes while strong winds can severely damage the exterior and structural elements of a home or building. RestorationMaster provides storm damage restoration services in Eastlake and Willoughby, OH for homes and businesses that have been damaged by extreme weather. Our technicians can stabilize heavily damaged buildings and provide full repair and restoration services.